The Kiowa tribe revered the Sun, stars and constellations such as the Pleiades and created tribal records in the form of a pictographic calendar. The power of Kiowa chiefs and military societies was complemented by the spiritual authority of the Taime and medicine bundle priests. The Kiowa worshiped a stone effigy they called the taimay represented as a human figure with robe painted with sun and moon and a headdress of single feathers. The taimay figure was two feet in length and wrapped in ermine skin and adorned with a blue pendant. The clothes worn by the Kiowa men consisted of breechcloths in the summer and fringed buckskin tunics or shirts and leggings in the winter. Warm buffalo robes or cloaks were also worn to protect against the rain and the cold. The Kiowa braves also wore beaded, feathered war bonnets decorated with eagle feathers and beadwork as symbols of accomplishment and bravery. 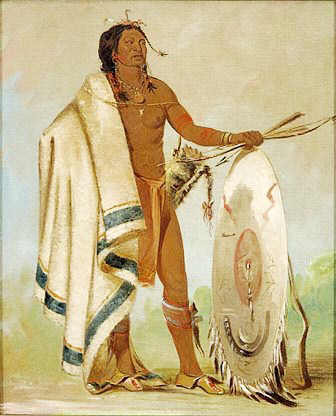 The traditional headdresses of the Kiowa were caps with straight-up eagle feathers and ermine tails trailing behind them. The men wore their hair in two braids. The women of the Kiowa tribe were responsible for making the clothes worn by the people. Most items were sewn from soft, tanned skins of deer (buckskin) and buffalo. Clothes were often decorated with paint, porcupine quills or beadwork. Kiowa clothing for both men and women were adorned with paintings and decked ornaments, especially necklaces and earrings. 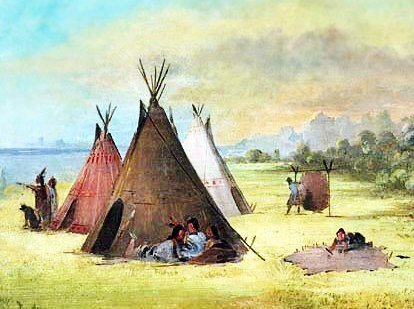 What clothes did the Kiowa women wear? 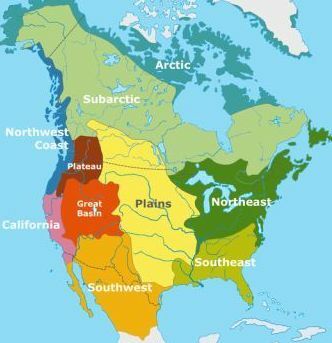 What did the Kiowa tribe eat?